The Hotel New Grand is a member of the Preferred Hotels & Resorts. It is a non-franchise hotel that has played an important role in the history of Japan's hotel industry. The hotel welcomes guests in Yokohama, Japan's second largest city, which has flourished as a port city for Tokyo. Yokohama is located approximately 30 km south of Tokyo and boasts easy access not only to Japan's largest airport, Haneda Airport (Tokyo International Airport), but also to popular tourist destinations such as Kamakura, Hakone, and Mt. Fuji. * WiFi (wireless LAN) connection. 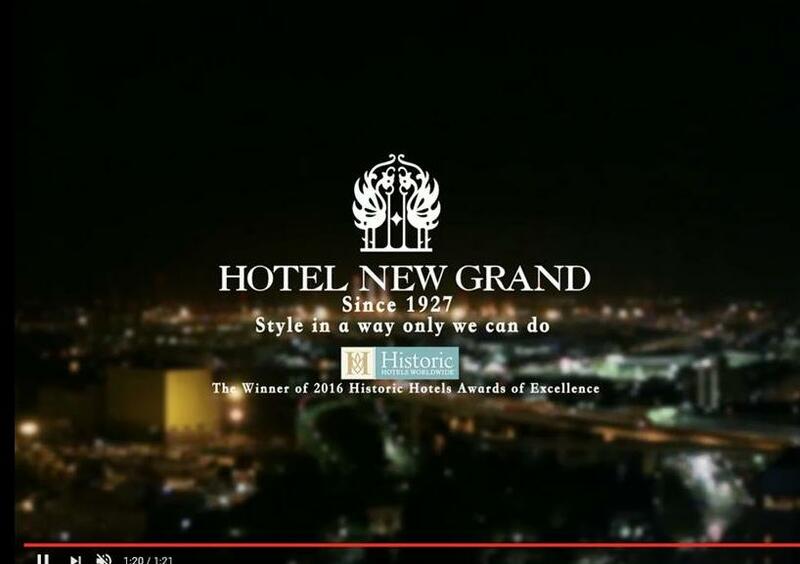 Hotel New Grand wins Best Historic Hotel in Asia/Pacific 2016 !! Hotel New Grand has been awarded 2016 Best Historic Hotel award of excellence Pacific region by Historic Hotels Worldwide for our celebraring historic significance, offering great amenities and exceptional customer service. Hotel New Grand has joined a worldwide organization of luxury hotels, Preferred Hotels & Resorts in 2011. The headquartered is in Chicago, and more than 650 independent hotels are across 85 countries. The reservation, sales and marketing offices are in 40 major cities worldwide. With an international high standard, Hotel New Grand are looking forward to making your stay pleasant and memorable. Panoramic French restaurant Le Normandie has been recognized as the highest of the top 20 best restaurants in the Asia Pacific region by the global assessment of The Miele Guide. Under Japanese Pharmaceutical affairs law, our hotel is not prepared to give any pharmaceutical products to guests even on the temporary basis. We do recommend you to take your officinal drugs with you in your travels. Please kindly understand this situation and feel free to contact our staff if you have any problem.